While attending the 2018 BNI Poland Conference, I met Paweł Jach, Executive Director at BNI Poland. He was the Master of Ceremony of the conference. He told a story today that I absolutely love. It was about how Navy Seals are selected based upon having a spark in their eyes. The one thing that was consistent in those men selected was their commitment and having that spark in their eyes. Business people who are successful also have that spark in their eyes. 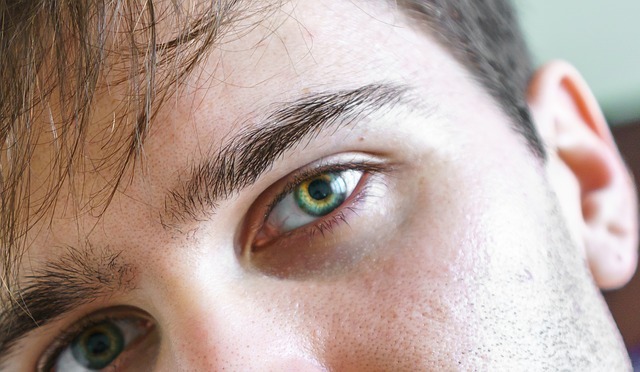 Therefore, what does it mean to have a sparkle in your eye? It’s an expression made up of many things. It happens when someone is excited by someone, happy being with them, at what they say, at how they look back at them. Perhaps their eyes open a little wider, to catch more light. Whatever it is, you know it when you see it, and it probably makes your eyes sparkle, too. When I was a child, my teachers all had the same complaint: “Ivan talks too much.” What my teachers saw as a problem ended up being an advantage. My job is to talk to people, and I am paid well to “talk too much”. I was able to take what was in the way and turn it around. It now becomes the way. My teachers felt that it was a problem for me in school. My mother, on the other hand, didn’t give me too much grief on the subject. While the teachers generally thought it was a roadblock to my learning, I think they may have been wrong on that. What my teachers saw as a problem ended up cutting an incredible passion: I love to talk. The secret here is to take the thing that’s in the way and channel your efforts in a manner that makes that problem part of the solution. In 1985, I had a massive thing in his way. I had lost a client and could hardly manage to pay the mortgage, so I started a referral group to help myself and my friends generate more referrals in a structured way. That group became BNI, bringing success not just to me, but to thousands of business owners around the world. Successful people know how to focus on a roadblock and turn it into an overpass. I think the secret here for anyone is to take the thing that is in the way and channel your efforts in a way that makes the problem part of the solution. What are your achievements? What’s been in your way that you’ve turned into an advantage? If something is in your way now, how do you plan to channel it? Share your experiences in the comments. In Good to Great, Jim Collins opened up a whole new paradigm for many people. He showed us that “bad” is not the enemy of “great.” “Good” is the enemy of “great.” Everyone can recognize when something is really horrible. It is, in fact, “good” that is the enemy of great performance. 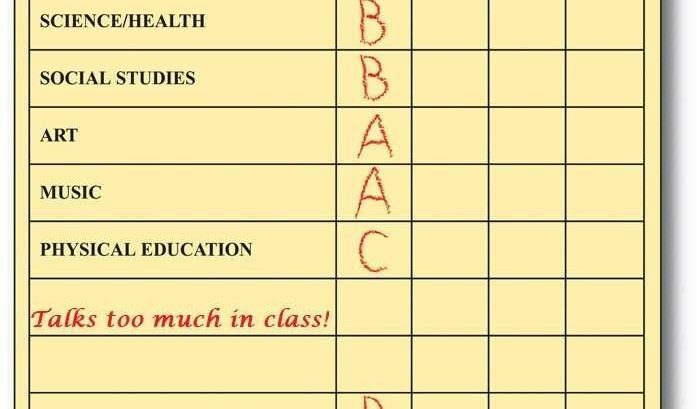 We’ve all heard the expressions: “it’s good enough,” “things are ok,” “it’s not bad,” “we’re doing alright,” “hey, it’s good enough for government work, right?” This is metastatic mediocrity at work. I love what I do, and I am passionate about helping people improve their businesses and their networking efforts to achieve success. 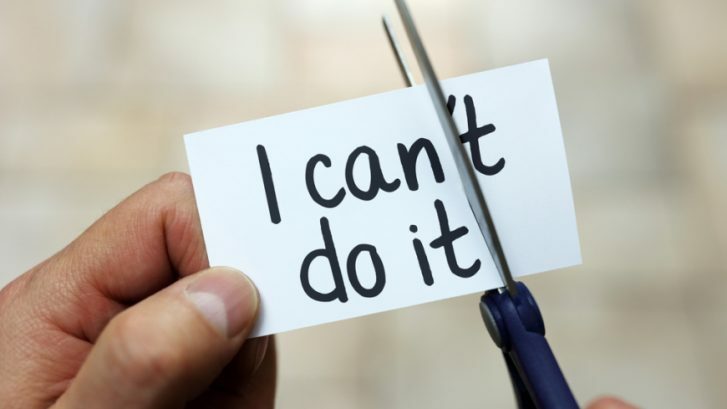 While doing this, I sometimes come across people who would like to be more successful, but they aren’t really committed to making a change in their circumstances. You may be reading this and thinking, “this is a crazy statement” – but give it some time. I promise, you will be out talking to someone in the future, and you will hear them complaining about their circumstances. You will then offer them a referral to someone with ideas that will help them, or you may give them some ideas of your own that could help them, and they will tell you all the reasons those ideas won’t work for them. Yes, I’m Happy In This Hole (and) I Don’t Want A Ladder! Now you and I both know that they may really “need” a ladder – but they just don’t “want” a ladder. My entire professional career has been dedicated to those who want a ladder! 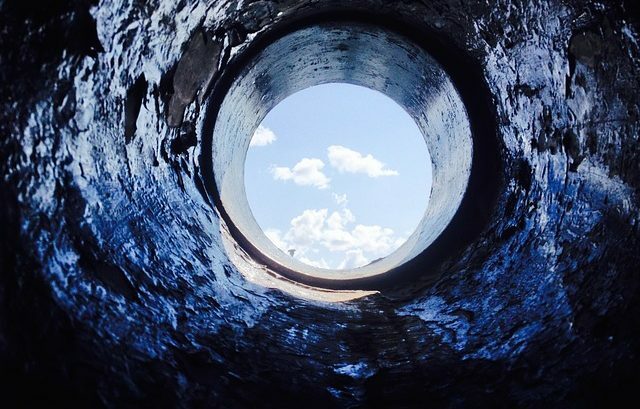 I want to work with people who recognize they are in a hole and they want out. I have also learned over time that when it comes to taking advice – some will, some won’t, so what! Not everyone is in the place where they recognize they even “need” the ladder. Before they can “want” it, they need to recognize they “need” it. If they don’t recognize they need it, then offering them help (or a ladder) will be of no use whatsoever. I’ve also learned that I can’t help the ones that think the “hole” is the natural state of things. These are people who’ve become comfortable with where they are and have become so accustomed to the great big hole they reside in that they think it’s just part of the landscape. I can, however, help the ones who recognize their condition and know they want out. More importantly, they not only want out of the hole they are currently in, but they will do just about whatever it takes to get themselves out of that hole! We can only help those who are ready and willing to be helped. As an entrepreneur in your profession, you will meet people that need your help all the time. My advice to you is: figure out if they’re ready for the ladder. If not, let them know you’re ready for them when they’re ready for you, and then move on to someone who desperately wants that ladder you’re going to send down to them. Good is the enemy of great. Look around. Are you in a hole? Do you know people in a hole? There’s a way out. I promise. 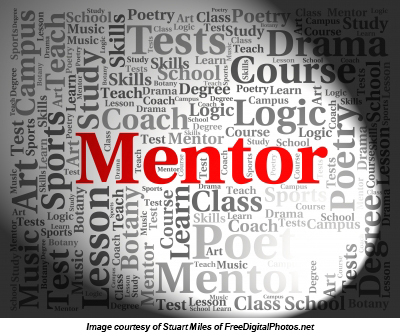 Find someone who can be a mentor and a coach — even a “virtual mentor” in books and videos. Find someone with the ladder that is needed to get out of that hole and start climbing out to success. Why accept mediocrity when excellence is an option? Excellence is an option. I want to inspire people. I want to inspire people – who inspire people. I want someone to look at you and say, because of you, I didn’t give up. Because of you, I’ve learned so much more. Because of you, I’m a better leader. Because of you, I’m a success today. 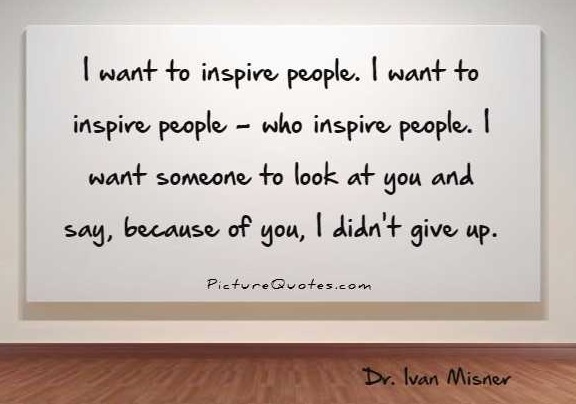 I want you to inspire people. I want you to inspire people to be… “their better selves.” I want you to inspire people to help others. I want you to inspire people – who inspire other people. Inspired people are not only motivating themselves, but they also spur others on to perform at their highest potential. These people encourage others to contribute, sharing their energy and excitement through their words and actions. They are motivated by personal and professional rewards that they can’t wait to share with others, and they desperately want to motivate others to succeed. To set your network in motion toward helping your business, make it your goal to become an inspirational person. Think of your network as a row of standing dominoes. Therefore, each domino will remain standing until you act on the first domino. To motivate change, you must tap the first domino to watch the chain reaction of tumbling dominoes. Your network is standing in place waiting for you to inspire the people to inspire others. Become inspirational and start the chain reaction. Inspiration starts with changing your words. There is tremendous power in words, in our speech. We use words every day to communicate, to express our feelings and thoughts, but we often forget how powerful they can be and how important it is to choose them with care. Words are how we communicate and it is through our communication that we motivate others. Throughout human history, great leaders have used the inspirational power of words to inspire us to start the chain reaction. 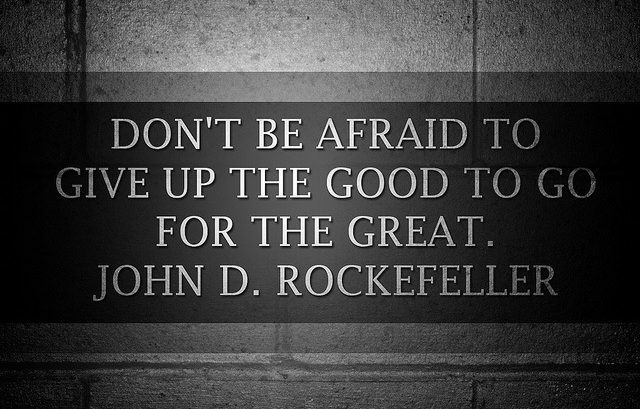 This reminded me of the classic quote, “Don’t be afraid to give up the good to go for the great”, by John D. Rockefeller. He believed that the truly ambitious among us have a distaste for comfort. They never settle for good enough, because they know that good enough turns into just okay after a while. A century later, Jim Collins expands on this concept in his book, “Good to Great: Why Some Companies Make the Leap and Others Don’t”, that complacency is the enemy of being great. According to Jim, “The enemy of great is not bad, the enemy is good.” He believes that at the heart of truly great companies is a corporate culture that promotes disciplined people to behave in a manner towards greatness. Accepting mediocrity within the network is often at the core of a group facing challenges. When groups accept mediocrity, growth and performance stagnate. Making the transition from good to great doesn’t require a high-profile CEO, the latest technology, innovative change management, or even a fine-tuned business strategy. Instead, they are never afraid of giving up the good to go for the great because the good never quite pays off the same way. Seriously, why accept mediocrity when excellence is an option? People, just like water, tend to seek the path of least resistance. The problem is that the path of least resistance may not be the best. If you expect the best from your fellow members, you will get it. If you expect less than the best from your members … you will get it. Therefore, expect the best. You’ll get better results! The 2017 U.S. National BNI Conference was honored to have Lt. Col. Rob “Waldo” Waldman as our keynote speaker. 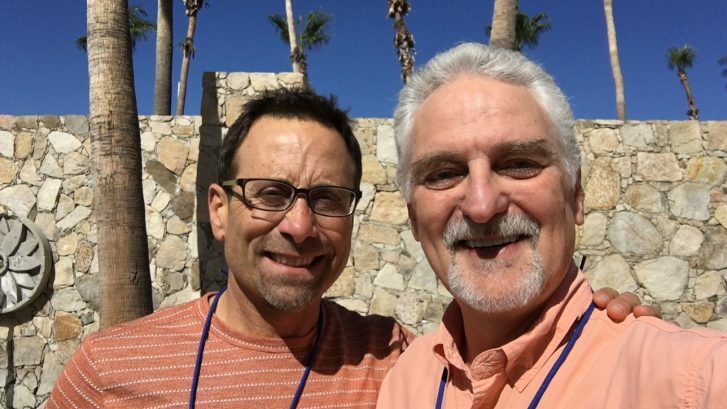 Most noteworthy, he taught those attending the conference to have a “Wingman”. Hence, someone like a business coach who can fly by your side and hold you accountable. In addition, Business is not combat because combat implies conflict and resistance. It’s about winning, losing and survival. Survival, most of all, is never fun. Rather, business should be about cooperation, communication, and a commitment to a core set of values that serve others. As a result, Business is about relationships and results. Especially relevant, Waldo helps people and organizations adapt to change, break performance barriers and improve leadership skills in business and life. First of all, he brings the perfect mix of energy blended with real-world experience to inspire audiences to action. The New York Times bestselling author of “Never Fly Solo”, Waldo is a former combat decorated fighter pilot. In addition, he uses this experience to provide real-world solutions on how to overcome fear, increase sales, and improve collaboration, teamwork, and trust in business. Therefore, Waldo’s ultimate objective is to raise the performance standards of your team by motivating each individual to commit themselves to excellence. Furthermore, He will prepare those attending for adversity, to overcome their fears, and to build trusting relationships in their personal and professional lives. In conclusion, I highly recommend Lt. Col. 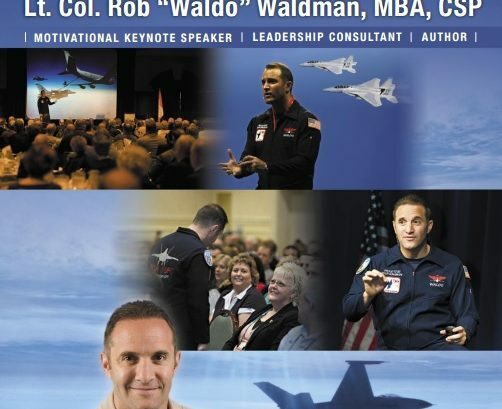 Rob “Waldo” Waldman to be your wingman as your keynote speaker at your event. By creating a unique, powerful, and valuable meeting experience, Waldo exceeds expectations, inspires positive change and improves the performance of your attendees. When was the last time you heard someone say, “Wow, your baby sure is ugly!” If they’re smart, probably never. How about this one? “Your clothing, marketing message and overall business image are not referable?” Ouch. We occasionally think this about people we meet, but will rarely say it out loud. Which is why you are responsible for making sure your business, your “baby”, is in the right condition for receiving referrals. I’ve seen thousands of people join networking groups and focus heavily on building their network but forget to take a good, hard look in the mirror, both at your self and image and your businesses. I’m challenging you to make an honest appraisal of yourself and your business and ask, “Am I worthy of business referrals?” If you’re not sure how to start, here are five ways to get you going. Five ways to help you examine your personal brand. 1. Define your Emotional Charged Connection (ECC): If you are asked seven times this week, “What do you do for a living?” do you respond with seven different answers? Your marketing message should be clear, concise and consistent; it should also tug at the heart strings a bit and have some ECC. This combination will leave a lasting impression and, most importantly, give others a clear way of explaining your message to others. 2. Walk your talk. Do what you say in less time than promised. Be on time for meetings, don’t check your phone while others are talking to you–and follow up with everyone and everything. 3. Dress for success: If you’re a mechanic and you wear a three piece suit to a business meeting, one might assume you’ve just come from court. Whatever people in your profession typically wear–uniform, polo shirt and khakis, suit and tie, dress and heels–just be sure to wear it well. You don’t have to spend hundreds of dollars on a new wardrobe, but make sure what you wear is clean, wrinkle-free and tucked in. You want to look sharp, because your first impression when you walk into a meeting is a lasting one. If you’re messy or too casual, people might assume you have the same attitude about your business. 4. Be self-aware: Eighty percent of someone’s perception of you are based on your nonverbal cues, including eye contact, facial expressions and mannerisms. Ask someone you trust to simulate a meeting or pitch with you and have them point out what they think is working–and what’s not. 5. Keep your social media presence professional: It’s vital to remember that your professional image exists on and offline. That’s not say you can share a funny joke or have fun on social media, but be aware that people are judging you by your online behavior. Two of every three posts should be about something personal, but don’t make controversial statements or divulge every intimate detail about your life. In this digital age, if you are what you say, you are also what you post. Your baby is not ugly, it’s beautiful. Your business image is not ugly, it’s also beautiful and worthy of referrals. But nothing else will matter unless our personal brand and referability are in order. After all, we are our biggest advertisement. I’ll be the first to admit that I’m no mechanic. In fact, when I was a kid, my father (who could fix just about anything) took me out to the garage one day and said, “Son, you’d better go to college because you’re never going to make a living with your hands.” Well, that was great advice, Dad. And I think things have worked out pretty well for me as a result of your suggestion. Despite my lack of skills as a mechanic, I can, however, tell you how a catalytic converter relates to networking and your business. By definition, a catalyst is an agent that initiates a reaction. In networking, a catalyst is someone who makes things happen. Without a catalyst, there is no spark, and not much gets done. So what does it take for you to become a catalyst for your business and your network? Four things: initiative, intention, confidence, and motivation. Initiative. 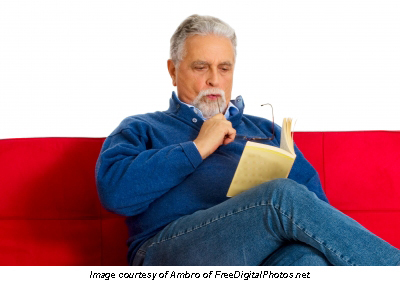 Catalytic people don’t sit still—they make things happen in all aspects of their lives. As networkers, they stay alert for a problem that needs solving and then spring into action, calling on someone from their network to solve the problem. They operate with a “get it done now” mentality. Intention. Catalytic people operate with intent and are goal-driven. As networkers, catalytic people have both business and networking goals. They learn the goals of others so they can help people achieve them. Confidence. Catalytic people have confidence in themselves and in the players on their team. This helps ensure that the task at hand will be accomplished with stellar results. Motivation. Catalytic people are not only motivated themselves, but they also spur others on to perform at their highest potential. These people encourage others to contribute, sharing their energy and excitement through their words and actions. They are motivated by personal and professional rewards that they can’t wait to share with others, and they desperately want to help others succeed. To set your network in motion toward helping your business, make it your goal to become a catalytic person. Think of your network as a row of standing dominoes. Each domino will remain standing until you act on the first domino. As a catalyst, you must tap the first domino to watch the chain reaction of tumbling dominoes. Your network is standing in place, waiting for you to set the pieces in motion. But what if you’re looking at your rows of dominos and realize that there are serious gaps that will disrupt the chain reaction? Or maybe you don’t have nearly as many dominos as you thought. 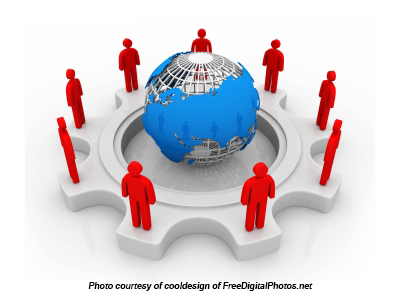 Even if you are a catalytic person, you first need to have a well-rounded and sufficiently populated network. I’m a huge believer in the value of continued education. No one is ever at a point where they can stop educating themselves, and if you do stop, you’ll surely fall behind in your field. We can’t always be enrolled in a higher education course, though, so what is the most logical way to continue educating yourself well into your professional life? While the best way to learn indefinitely depends on your lifestyle, your specific field, and your learning style, here are my three favorite ways to keep on top of new (and old!) developments in business. Read articles and books. Thought leaders are always writing articles and books about their fields, sharing their perspectives on the ins and outs of their specialties. While these pieces will always have some degree of opinion in them, and you won’t always agree with everything you read, well written articles and books will get you thinking, get you interested, and leave you wanting to do your own follow up research. Attend conferences. When you attend a conference and you listen to the keynote speaker, if those in charge of organizing the event did their job, the speaker not only taught you a little something, but got you fired up to go out and learn more. Not only is the keynote speaker a great source of continued education at conferences, smaller sessions and even other attendees can help get your gears turning, and teach you something you didn’t know before. Practice practice practice. You probably haven’t reached the point where you can do anything perfectly every time, and even if you have, going without practice can cause you to lose your skill. How can you get better at something if you don’t do it? What’s more, talk to colleagues, people you respect in your field, or consult the internet for new techniques as you’re practicing. If you keep practicing something the wrong way, you’ll get really good at doing it wrong. If you practice something in new and different ways, you’ll be more likely to round out that skill level. How do you continue your education? Let me know in the comments below!